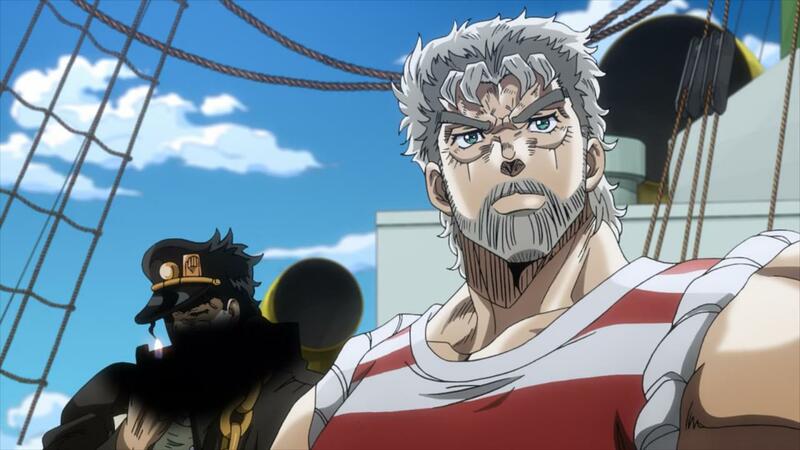 There seems to be an extreme amount of censoring in Stardust Crusaders (black shadows, etc) compared to other anime or even the previous 2 seasons. I don't really understand. If perhaps the smoking thing is because Jojo is underage, Sanji smoked since "day 1" of One Piece (he was in his teens). The wounds I don't understand either, as some other anime don't censor large wounds (like Fate/Zero, which I watched while it was airing on TV). I'm watching on Crunchyroll if it matters. Sometimes it's so bad I can't even tell what happened in the scene. Why is this? If there are any laws causing this, what laws and what do the laws say? Edit: See @senshin's answer for the correct answer. This answer addresses the question assuming the version on Crunchyroll was the same as before. 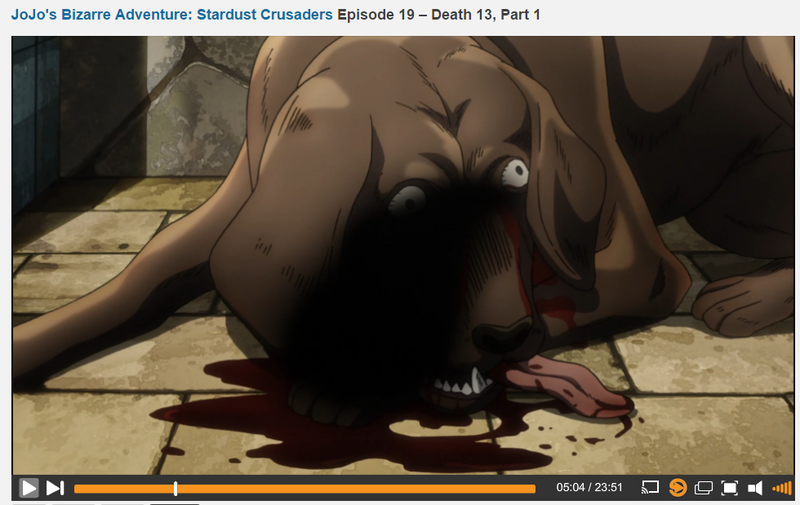 I will keep this here for general reasons as to why the series may have been censored on TV. In the past few years censorship laws have been enforced more and more strictly. In July 2013 (before Stardust Crusaders) There was a big push for more self-censorship after a series of arrests in Core Magazine. Also broadcasters will send back episodes if they do not meet their expectations of censoring. These then have to be edited at short notice to be fit to broadcast. 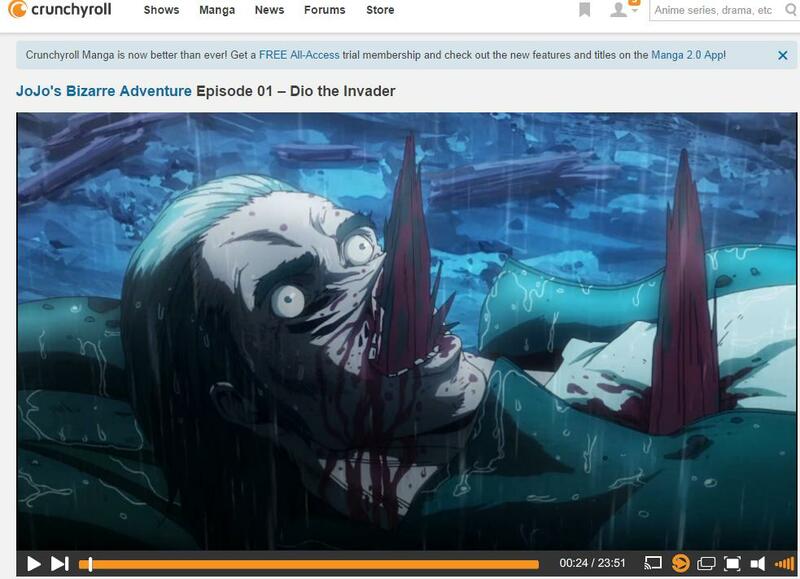 Other groups may have complained about Jojo's content - In 2008 Jojo was under fire for having Dio reading the Qur'an and containing fighting scenes played out ontop of, and destroying, mosques. Ref - These scenes had to be redrawn. The animators may have seen what way other shows were going and used them as a guideline for what to censor and what not to. It is true that Japan has been stricter on censorship over the last 10 years, and that the market is also moving towards a censored TV / Uncensored DVD setup. I would imagine it's primarily broadcaster standards that dictate what Jojo can and cannot show. 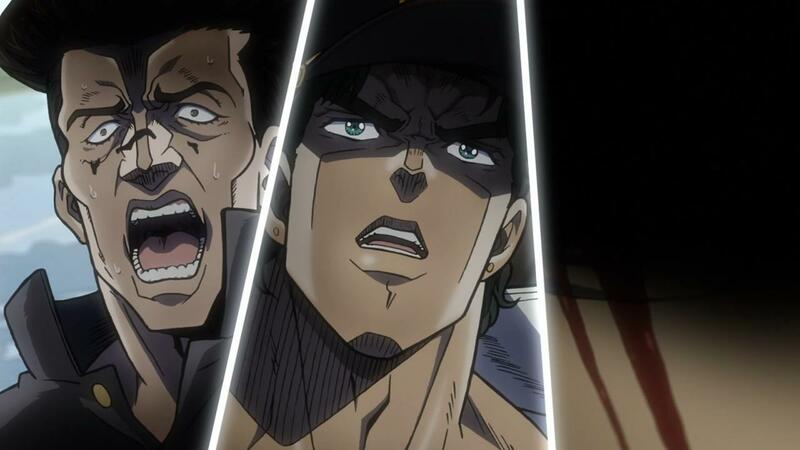 Stardust Crusaders was also on more Japanese TV networks than its prequel so it had more vendors to satisfactorily censor for. Not much better than Stardust Crusaders. Here's what happened: sometimes, Crunchyroll only gets streaming rights to a show after the BDs have come out. This was the case for JoJo parts 1 and 2. In these cases, Crunchyroll will typically use the BD version rather than the TV version, since the BD version is almost invariably higher quality (Shaft notwithstanding). 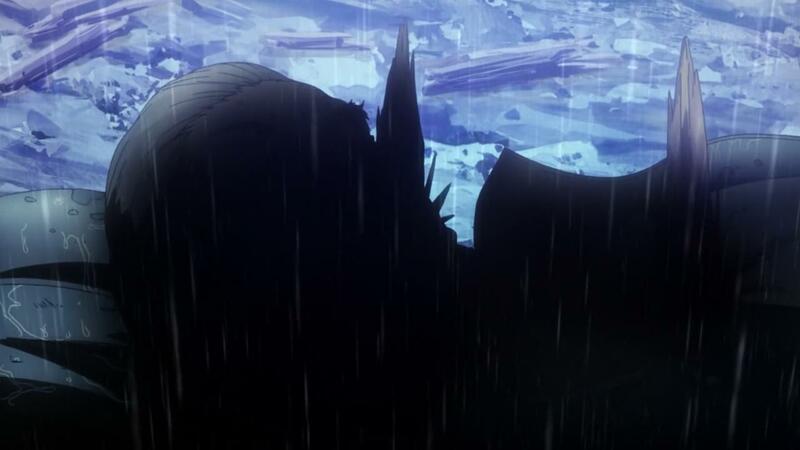 Of course, it so happens that the BD version also will be less censored. This also happened, for example, with Madoka (no simulcast; when Crunchy got streaming rights, they used the BD version). I think it is unlikely that most of the points mentioned in Toshinou Kyouko's answer are relevant in light of the fact that OP's assumption is false: Stardust Crusader is not, in fact, substantially more censored than parts 1 and 2. The smoking thing seems like it might be playing a role, though. Not the answer you're looking for? Browse other questions tagged jojos-bizarre-adventure crunchyroll or ask your own question.